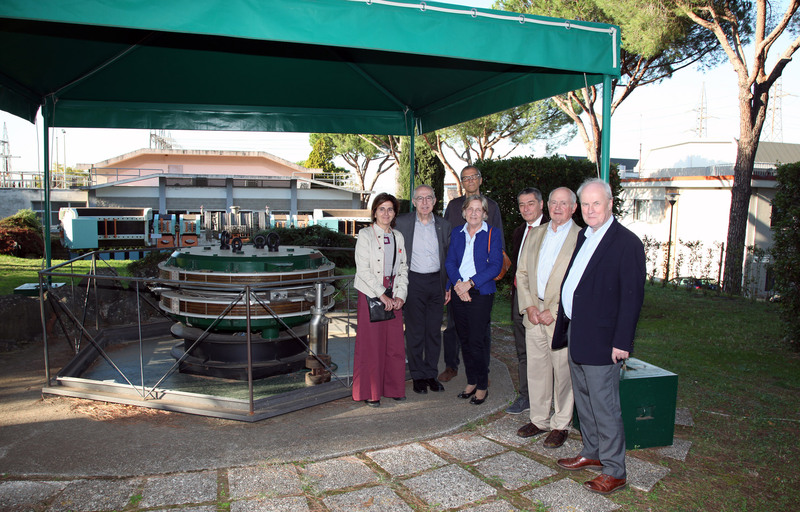 The yearly meeting of INFN International Evaluation Committee (CVI) took place in Frascati on the 16th and 17th of October. As laid down in the Statute, Committee’s task is to comprehensively assess the scientific and technological results achieved by the Institution and the future development plans. The CVI consists of five scientists, both Italian and foreign, and two experts representing the economic and manufacturing community appointed by the Governing Council. It shall report annually the evaluations carried out to the INFN President. Prof. A.J.S. Smith (Princeton) as President, Dr. N. Amodio (Confindustria), Prof. M. Bosman (Valencia), Prof. R.K. Ellis (Durham), Prof. M.N. Harakeh (Nijmegen), Prof. C. Spiering (DESY Zeuthen) and Prof. E. Zaninotto (Trento) are actually in the CVI. Among other themes, special attention was paid to the Laboratory future development programs, which were illustrated by the Director and welcomed with great interest. The CVI recommendations will be the subject of a document that will be sent to the INFN President. The Committee also briefly visited some of LNF infrastructures.